A coup d'état is underway in Venezuela seeking to oust President Nicolás Maduro and install a U.S. puppet in his place – 35-year-old opposition leader Juan Guaidó. Guaidó proclaimed himself the country's "interim president" at an opposition rally on Jan. 23; a move quickly backed by U.S. President Donald Trump, as well as by Britain, Canada and 11 members of the Lima Group of South American states. 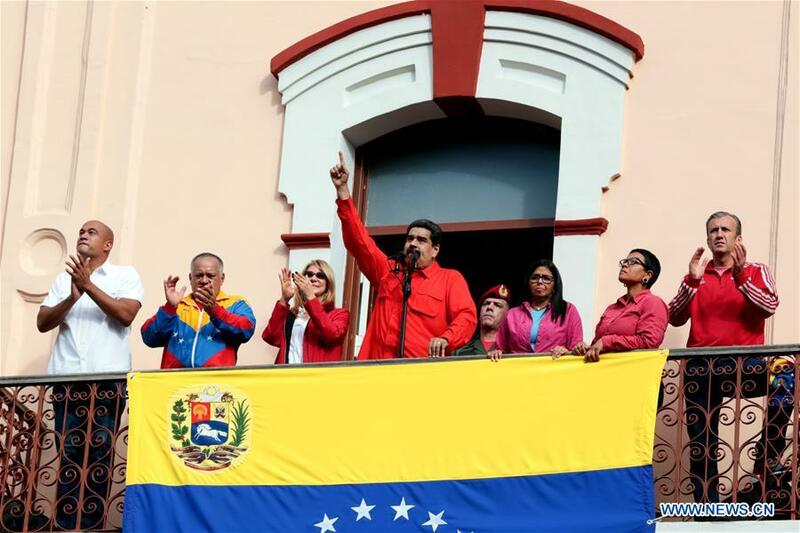 President Maduro was sworn in for a second term on Jan. 10, 2019, after being re-elected on May 20 last year, winning 67.8 percent of the vote against just 20.9 percent for his nearest rival. At the time, the former Spanish Prime Minister Jose Luis Rodriguez Zapatero was an electoral observer. He accepted the election as free and fair but the Venezuelan opposition and its American backers are ignoring his evidence. Now, EU leaders are calling for new elections, and Donald Trump has released a statement saying: "I will continue to use the full weight of United States economic and diplomatic power to press for the restoration of Venezuelan democracy." There have been several attempts to oust Venezuela's government since its former leader, the late Hugo Chávez, was first elected president in 1998. Venezuela has the world's largest known oil reserves. 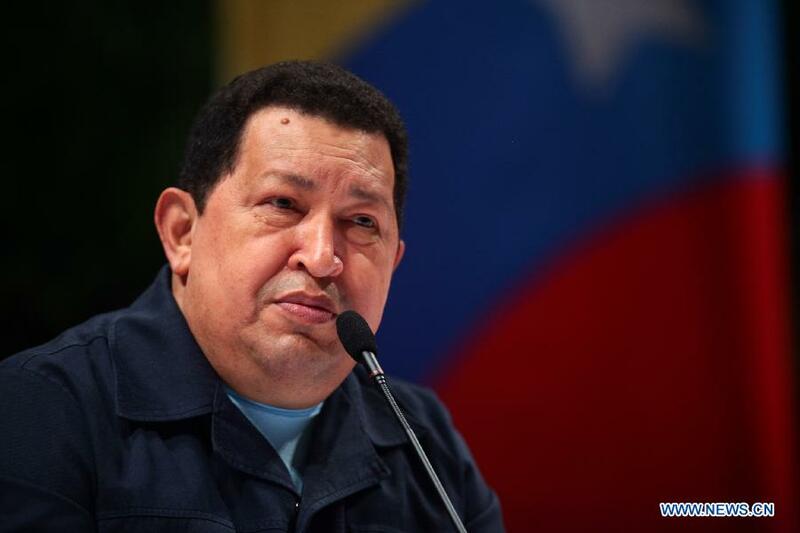 While in office (1999-2013), Chávez instituted dramatic reforms transforming a big part of Venezuela's energy revenue into programs for education, healthcare, housing and social progress. 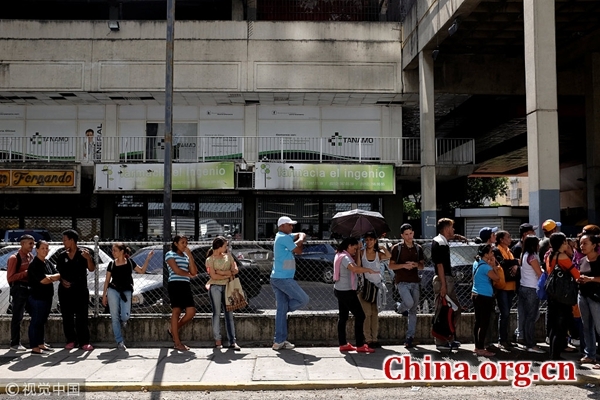 For a time, Venezuela became a pioneer in spearheading improvement in human development that outstripped many developed countries. However, these attempts to redistribute wealth and power undermined the social status and authority of the old oligarchy and their American patrons. In 2002, a coup d'état orchestrated by such oligarchs, media magnates, the Church, and sections of the military, with the help of the U.S. State Department, overthrew Chávez and imprisoned him. These events were captured by an Irish film crew in "The Revolution Will Not Be Televised," one of the most powerful and moving documentary films I have ever seen. It shows how the Venezuelan masses took to the streets to defend Chávez so that, within 48 hours, the coup was quashed. That result, and continual sabotage by the opposition, pushed Chávez and the mass movement to the left. However, radical reforms benefiting the people were not matched by greater economic potential. On the contrary, a dual-track economy was created, partly based on big State subsidies used to attain social objectives, and part on interests dominated by oligarchic capitalists. When Chávez died and was replaced by Maduro in 2013 the economy was already in crisis. The dual-track economy became entrenched through a dual currency system, in which hard currency was pegged to the U.S. dollar. Indigenous productivity, production capacity and the diversity of commodities produced did not advance rapidly enough to compensate for the burdens of social expenditure. At the same time, energy prices fell dramatically. Much of Venezuela's food supply and many other essential goods are imported and paid for in hard currency. Access to subsidized goods fostered a mass speculative black market. This produced an out-of-control inflationary crisis that made the local currency worthless. In order to survive, even the most dedicated revolutionaries were sucked into the vortex of the black market, where subsidized goods are bought and sold at a profit. It also resulted in officials engaging in corrupt rent-seeking activity granting permits and contracts and turning a blind eye to illegal and semi-legal activity. Such corruption has penetrated every layer of the State and society; encouraging a proliferation of criminal gangs that seek to take advantage of the chaos. Nevertheless, despite all this corruption, turmoil and chaos the Venezuelan people have endured in the last few years, millions of people benefited from the Bolivarian Revolution. The dramatic improvements in health, welfare, education, housing, etc. were very real. The collective memory of this enables the Venezuelan masses to become well aware of the role of the United States and the oligarchs in recent events. Heiko Khoo is a columnist with China.org.cn.